Anonymous Lacquer is owned and created by my first ever nail mail buddy on IG. When she first told me of her plans to make a lacquer I was super excited as I knew she has a love for holo and glitters like I. I suspected she would make some gorgeous colors and boy was I right! I have a Holo topcoat and Ruby baby we missed you coming soon. Things have been hectic and I haven't gotten to swatch as much as I was hoping to these last 2 weeks. This first polish I am going to review for you is "You had me at Hello Kitty" Hello kitty is one of my favorite things. 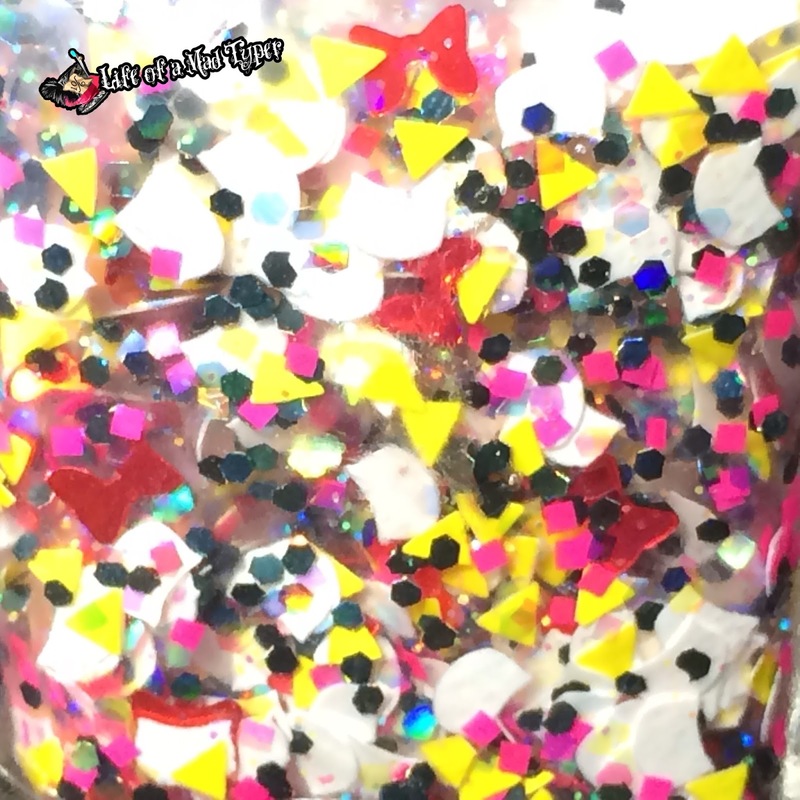 I even have a Hello Kitty microwave and Mildred knew of my love for the worlds famous kitty (or girl) and sent me a bottle for review and bottle to giveaway. I hope you are ready for this! This is a macro of You had me at Hello Kitty. The Hello kitty glitters came out in abundance but the bows I had to do some fishing. The base is not too thick or too thin and dries quickly. I used 2 coats on each finger. I can' wait to do my next hello kitty mani and add a coat of this as accent finger. 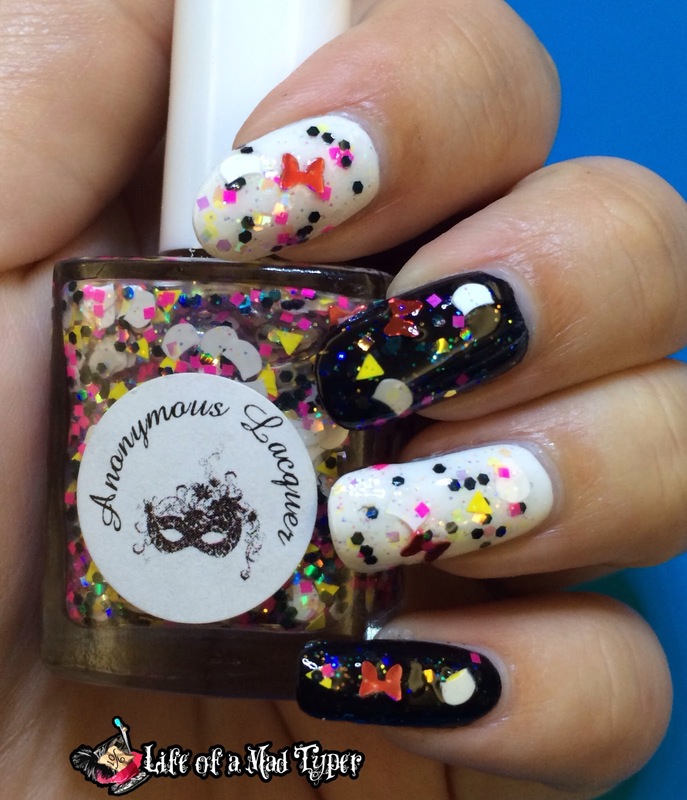 Be sure to check out Anonymous lacquers amazing holos as well and enter the giveaway using the link above.